Care - Just Beauty Products, Inc.
Care There are 45 products. Echosline T3 Echos Herb Energy Treatment ( Hair Loss Lotion) 125 ml/4.22oz. Enriched with Soya Proteins, extract of Rosemary, extract of Nettle and Oligoelements, it carries out a tonifying action for the hair and soothing for the scalp. 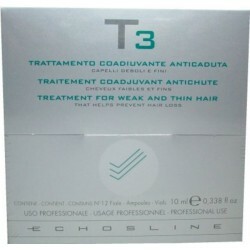 Echosline T3 Echos Herb Treatment for Weak and Thin Hair 12 Phials (Prevent Hair Loss). Enriched with Soya Proteins, extract of Rosemary, extract of Nettle and Oligoelements, it carries out a tonifying action for the hair and soothing for the scalp. 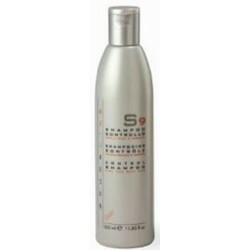 Echosline S3 Invigorating Shampoo 1000ml/33.8 Oz. (Prevent Hair Loss). Ideal for fine and weak hair, its formula is rich in Oligo-elements, Herb extracts and Vegetal Proteins that helps prevent hair Loss. 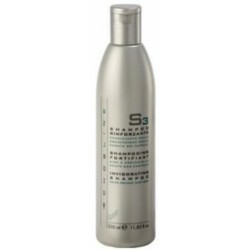 Echosline S3 Invigorating Shampoo 350 ml/11.83oz. (Prevent Hair Loss). Ideal for fine and weak hair, its formula is rich in Oligo-elements, Herb extracts and Vegetal Proteins that helps prevent hair Loss. 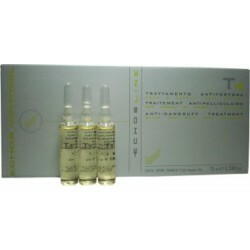 Echosline T4 Anti-Dandruff and Sebum Control Treatment 12 Phials 10ml each. The purifying and anti-microbic action carried out by its rich extracts, help to resolve the problem of dandruff. Echosline S4 Anti-Dandruff and Sebo Shampoo 33.8 oz./1000 ml. 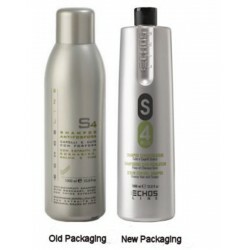 Echosline S4 Anti-Dandruff and Sebo Shampoo 33.8 oz./1000 ml. The purifying and anti-microbic action carried out by its rich extracts of Rosemary, Sage and Thyme help resolve the unsightly problem of dandruff. Echosline S4 Anti-Dandruff and Sebo Shampoo 350ml/11.83oz. The purifying and anti-microbic action carried out by its rich extracts of Rosemary, Sage and Thyme help resolve the unsightly problem of dandruff. Echosline F 1-2 Fluid Crystal 60 ml./2.02 oz. 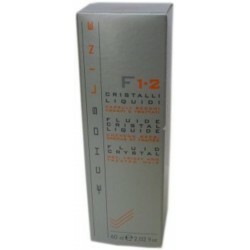 Echosline F 1-2 Fluid Crystal 60 ml./2.02 oz. Fluid rich in Linseed Oil and Silk Proteins. It is especially indicated for dry, frizzy and treated hair. 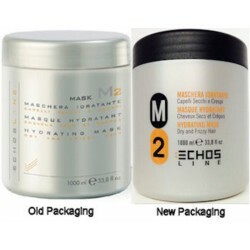 Echosline M2 Hydrating Mask 1000 ml/ 33.8 o. Rich in Coconut oil and Wheat and Milk proteins leaves hair soft and easy to manage. It restore shines and carries out a rebalancing anti-flyaway action. Ideal for dry and frizzy hair. 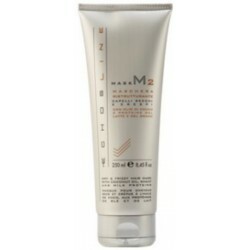 Echosline M2 Hydrating Mask 250ml/8.45oz. Rich in Coconut oil and Wheat and Milk proteins leaves hair soft and easy to manage. It restore shines and carries out a rebalancing anti-flyaway action. Ideal for dry and frizzy hair. 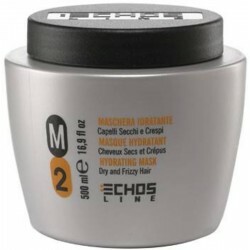 Echosline M2 Hydrating Mask 500ml/16.9oz. Rich in Coconut oil and Wheat and Milk proteins leaves hair soft and easy to manage. It restore shines and carries out a rebalancing anti-flyaway action. Ideal for dry and frizzy hair. 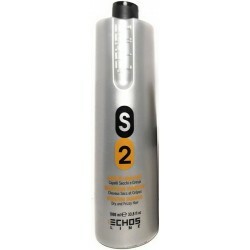 Echosline S2 Hydrating Shampoo For Dry and Frizzy Hair 33.8 oz./1000 ml. Echosline S2 Hydrating Shampoo For Dry and Frizzy Hair 33.8 oz./1000 ml. Ideal for dry and frizzy hair, it is rich in Milk and Wheat Proteins that carry out a nourishing and hydrating and action. It leaves hair silky soft and easy to comb. Echosline S2 Hydrating Shampoo For Dry and Frizzy Hair 350ml/11.83oz. Ideal for dry and frizzy hair, it is rich in Milk and Wheat Proteins that carry out a nourishing and hydrating and action. It leaves hair silky soft and easy to comb. 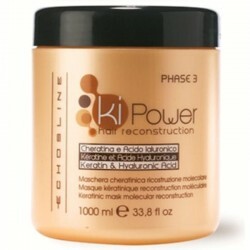 Echosline Ki-Power Keratinic Mask Hair Reconstruction 1000ml/33.8oz (phase 3). Keratinic mask to seal the molecular reconstruction. Its formula dense and creamy with an acid pH and rich in restoring elements like Keratin, Hyaluronic Acid and Silicone Emulsifiers that perfectly closes the cuticle scales. 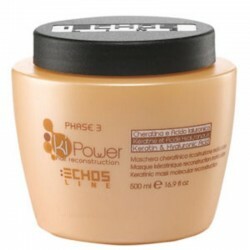 Echosline Ki-Power Keratinic Mask Hair Reconstruction 500ml/16.9oz (phase 3). Keratinic mask to seal the molecular reconstruction. Its formula dense and creamy with an acid pH and rich in restoring elements like Keratin, Hyaluronic Acid and Silicone Emulsifiers that perfectly closes the cuticle scales. 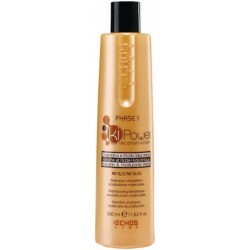 Echosline Ki-Power Keratinic Duo Kit 1000 ml. 1)Shampoo & 1)Mask. Cleanses the hair gently and effectively. Deep reconstruction. Strengthens the cuticle making it compact and elastic. Leaves hair healthy, silky soft and full of body. 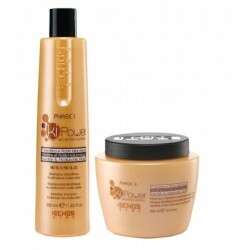 Echosline Ki-Power Keratinic Duo Kit 1)Shampoo 350ml & 1)Mask 500ml. 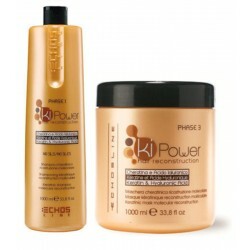 Echosline Ki-Power Keratinic Duo Kit 1)Shampoo 350ml & 1)Mask 500ml. Cleanses the hair gently and effectively. Deep reconstruction. Strengthens the cuticle making it compact and elastic. Leaves hair healthy, silky soft and full of body. 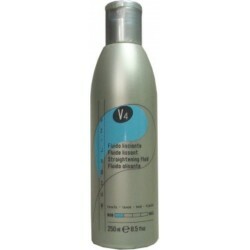 Echosline V4 Straightening Fluid 250ml / 8.5oz (Temporary Straightening Effect). Leaves hair soft and easy to work during blow-drying, and protects from the heat of styling tools. 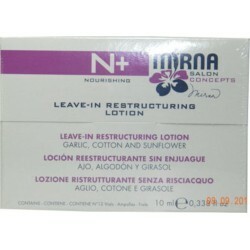 Echosline Mirna N+ Leave-in Nourishing Conditioner 1000ml/33.8oz (Garlic, Cotton and Sunflower). Ideal for dry, frizzy and treated hair. Its formula carries out a deep hydrating, intense nourishing, regenerating and anti-oxidizing action. 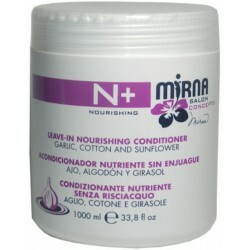 Echosline Mirna N+ Leave-in Nourishing Conditioner 300ml/10.14oz (Garlic, Cotton and Sunflower). Ideal for dry, frizzy and treated hair. Its formula carries out a deep hydrating, intense nourishing, regenerating and anti-oxidizing action. Echosline Mirna N+ Leave-In Restructuring Lotion (12x10ml). Leave-in Nourishing Conditioner with Garlic, Cotton and Sunflower. Ideal for dry, frizzy and treated hair. Its formula carries out a deep hydrating, intense nourishing, regenerating and anti-oxidizing action. Echosline Mirna N+ Nourishing Mask 1000ml/33.8oz (Garlic, Cotton and Sunflower). Ideal for dry, frizzy and treated hair, it nourishes, protects and tones hair while leaving it easy to manage and full of shine. 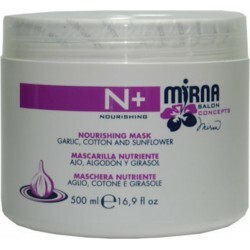 Echosline Mirna N+ Nourishing Mask 500ml/16.9oz (Garlic, Cotton and Sunflower). Ideal for dry, frizzy and treated hair, it nourishes, protects and tones hair while leaving it easy to manage and full of shine. Echosline Mirna N+ Nourishing Shampoo Garlic, Cotton and Sunflower 1000 ml / 33.8 oz. Ideal for dry, frizzy and treated hair, its specific moisturizing formula leaves hair silky soft, full of shine and easy to comb. Echosline Mirna N+ Nourishing Restructuring Serum 3.38 Oz (Garlic, Cotton and Sunflower). A repairing and detangling cosmetic treatment which leaves hair shinny and combable. It repairs split ends. Ideal for dry, frizzy and trated hair. 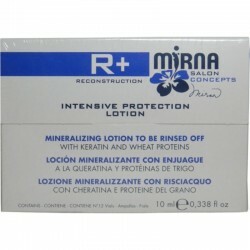 Echosline Mirna R+ Intensive Protection Mineralizing Lotion 12 x 10 ml/0.338 oz. With a high penetrating action specific for intensive reconstruction of very damaged hair. Contains keratin and wheat proteins. 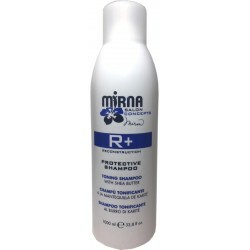 Echosline Mirna R+ Reconstruction Quick Protection Moisturizing Spray (No Rinse) 200 ml./ 6.76 oz. 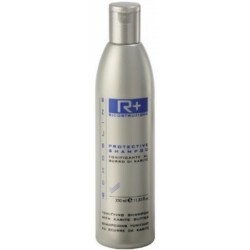 Ideal for helping to keep hair healthy and preventing damage after intensive treatment. 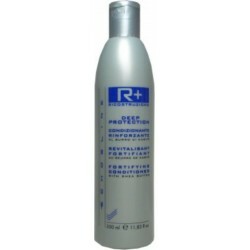 Echosline R+ Reconstruction Protective Tonifying Shampoo With Shea Butter 350 ml./ 11.83 oz. Ideal for reconstructing damage hair. It leaves hair feeling light and full of vigor, and make it easier for the active principle to penetrate the hair. Echosline R+ Deep Protection Fortifying Conditioner with Shea Butter 350ml/11.83oz. Strengthening Conditioner specifically for fine hair with Shea Butter and a mix of silicones. It acts deep down to reconstruct damaged hair. Mirna R+ Deep Protection Fortifying Mask With Shea Butter 1000 ml./ 33.8 oz. It carries out a softening and nourishing action that helps restore strength to damaged hair. Mirna R+ Deep Protection Fortifying Mask With Shea Butter 500ml/16.9oz. It carries out a softening and nourishing action that helps restore strength to damaged hair. 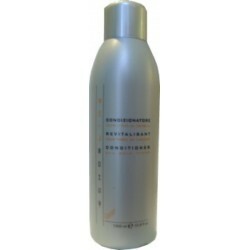 Echosline R+ Reconstruction Protective Tonifying Shampoo With Shea Butter 1000ml/33.8oz. Ideal for reconstructing damage hair. It leaves hair feeling light and full of vigor, and make it easier for the active principle to penetrate the hair. Echosline Conditioner All Hair Types 1000ml/33.8oz (with Linseed Oil). Rich in Linseed Oil carrier out a detangling and volumizing action, leaving hair soft and restores elasticity. Ideal for all hair type. 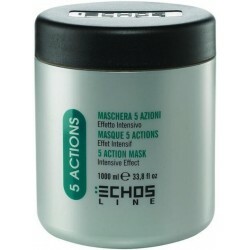 Echosline Mask 5 Actions Intensive Effect 1000ml/33.8oz. Its conditioning, volumizing and softening action is perfect for dry, stressed, over processed and flyaway hair. 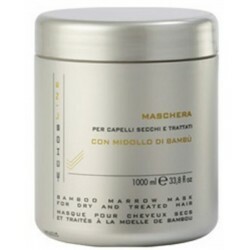 Echosline Midollo Di Bamboo Marrow Mask. (Dry and Treated Hair) 1000ml/33.8oz. Its formula has a strong conditioning action, making easier the hairstyle. Its action is effective right from the very first application. Echosline S10 Gel Remover Shampoo 350ml/11.83oz. Removes residues and build-up of styling and finishing (gels, waxes, lacquers, etc.). Detangling and conditioning with high action. 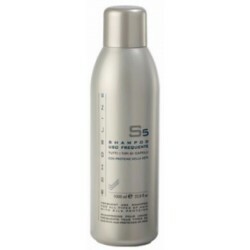 Echosline S5 Regular Use Shampoo. 33.8oz /1000 ml All Hair Types. Its Specific formula is rich in Silk Proteins that cleanse and hydrate hair and scalps. It restores tone and shine. 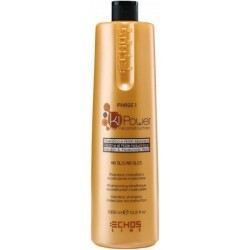 Echosline S5 Regular Use Shampoo. 350ml/11.83oz All Hair Types. Its Specific formula is rich in Silk Proteins that cleanse and hydrate hair and scalps. It restores tone and shine. 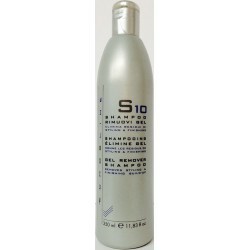 Echosline S9 Control Shampoo. 350 ml/11.83oz. It’s disciplining action ensure control and definition, wrapping the hair shaft with a protective film and polishing. Echosline Tropical Shampoo 10,000ml/338oz. Specifically formulated for all hair types. Its gentle cleansing action makes it ideal for frequent use. Its balance pH leaves hair soft and shine. Echosline S7 Straightening Shampoo 33.8oz/1000ml. It carries out a deep hydrating cleansing action. It makes straightening easier and reduces frizz. Used with the M7 mask, it leaves hair soft and controls even the most rebel hair. Echosline S7 Straightening Shampoo 350ml/11.83oz. It carries out a deep hydrating cleansing action. It makes straightening easier and reduces frizz. Used with the M7 mask, it leaves hair soft and controls even the most rebel hair. 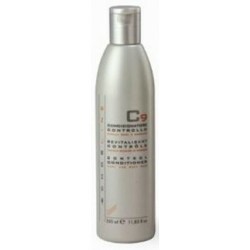 Echosline C9 Control Conditioner 350ml/11.83 oz. 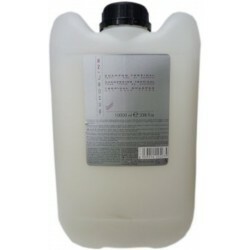 Echosline C9 Control Conditioner 350ml/11.83 oz. It restores elasticity, resists humidity, has an anti-static action and leaves hair soft and full of shine.